Today marks the two year anniversary of Ministry Pass, a business I founded for church leaders. Two years doesn’t seem like a long time at all. At the same time, I feel like we have learned so much and come so far. It feels like we have been at this for five years. I wanted to share a little more of the story of how we started and the lessons I learned along the way. We filmed a video sharing some of the backstory for Ministry Pass and below that I included the 5 things I learned NOT to do when launching a new business. 1. Don’t forget about the small things. The day we launched Ministry Pass was bursting with excitement. We were seeing the fruition of a dream in such a short amount of time. On the day we launched, we streamed a broadcast for church leaders as a springboard event for our new company. The event itself was a great success. We had over 3,000 church leaders tune in and were trending on Twitter in the U.S. and Canada. We even beat #Ebola. At the end of the event, we presented an offer for viewers to sign up for a membership. As people began to purchase, something crazy began happening. Our developer had been doing some testing on our website the morning of the launch—we were putting the finishing touches on it right up to the last few days. In the process of testing, he accidentally deleted the ability for our system to auto generate passwords for new users. As sales started rolling in, phone calls of angry customers did as well. 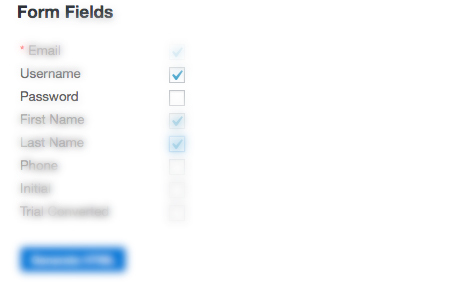 One box left unchecked in our dashboard caused customers to create accounts with no passwords. Essentially, no one could login. Our team should have been celebrating and continuing the push on social media. Instead, we spent the next several hours handling support calls from angry customers. It was not the launch I had envisioned. 2. Don’t UNDERestimate what you can get done in a short amount of time. On May 6th, 2014, I stood on a porch halfway around the world in Madagascar. Thanks to FaceTime, I listened to my sons heartbeat for the first time. Everything changed in that moment. Up to that point, I said “Yes” to everything. “Yes” to every freelance job. “Yes” to every lunch appointment. “Yes” to every opportunity. As I heard the rhythm of my child’s pounding heart, the important things in my life stepped to the forefront. Nothing gives you an acute awareness like becoming a parent. One of the things pushing itself forward in my heart was launching a resource site for churches. As we traveled the bumpy roads of Madagascar, I felt God pressing me not to wait any longer. I needed to launch this before the baby arrives. On the plane ride home, I set a launch date of October 7th, 2014. Five months was all I had to create something pastors would find helpful and valuable. Over the next few months, I assembled a team of friends and contractors to start building. I was able to secure a personal loan, and we were off to the races. In five short months, we built a team, received funding and built over 250 resources for churches. Looking back, I was naive to think we could launch something this audacious in five months. And yet we did just that. Because of the success of our launch day, we had a lot of churches sign up for a membership. Our first month, we generated $37,000 in revenue. Our projections for the future suddenly looked really, really bright. And almost immediately, I had been lulled to sleep by the aura of success. I had read so many stories of successful entrepreneurs and now I had a story myself. I finally felt successful. But feeling successful is more hypnotic than being successful. Our first month, we did $37,000. Our second month, we did $3,700. Once the panic wore off, I realized we had not arrived and we still had a lot of work to do. From there, every month was just about getting better. Improving our platform and taking small steps forward. The biggest lesson I learned in this season was to not make future decisions on the mountain top. Wait until you get down to sea level before deciding. Speed is the enemy of delegation. It’s much faster if I do it myself. It’s much easier for me to just do it, than to slow down and invest into someone else. At its core, this is a leadership issue. By choosing speed, I am choosing to work and not lead. This is the hardest part of transitioning from a doer to a leader. Especially if this task is something you are good at. I have had to slow down and invest in others for the good of our company. I feel like I will be in this boat for the rest of my life. Starting a new company requires a lot. You will need funding, advice, help, and anything nugget of wisdom people will give you. Not everyone you seek out is going to offer you a helping hand. I met a few people in my search for entrepreneur wisdom that weren’t gracious. I could tell I wasn’t on their level. They knew it and some, were annoyed by it. They were telling me things that I just didn’t understand yet. The most important thing for me was to just keep knocking. I had been speaking with some venture capitalist about finding investors for Ministry Pass. This was a whole new world for me, investors. Each investor conversation only brought more confusion. I ended up requesting a meeting with the CEO of a company I used to work for. Today, this company does close to two billion a year in revenue. While I had a great relationship with the CEO, It’s still intimidating to walk through that executive suite hall to the corner office. The meeting went really well. Not only did he me great advice, but he also offered to give me a personal loan so I didn’t have to give up equity. You never know who is going to let you borrow some of their wisdom, brand equity or trust in the marketplace. Another critical conversation for us was Mark Batterson. He was so gracious to be a part of our launch day event. Having him attached to our launch allowed us to ride on the back of the trust equity he has developed in the market with church leaders. It was a risk for him to be associated with some unknown, but we are very thankful he agreed. I could blog for days about the lessons learned the last two years. If you are looking to launch something or right in the thick of it, I hope you learn from my mistakes and lessons. I hope that gives you courage. It certainly does for me. For us, there is still work to do, pastors to serve and churches to equip. The following is for my friends, family and important people in this story. Wade, you are the backbone of this bro. Without you, this was just an idea and some graphics. Pastors and churches around the world are beneficiaries of your hard work and leadership. Tommy, Jordan and Hector, thank you guys for believing in my crazy ideas enough to be a part of it. I value the trust and insight you have given me along the way. Steve, I will always be grateful of the opportunities you have equiped me to chase. I want to be the Steve for someone else’s dream one day. Marty, thank you for showing me that I perhaps could do more for the kingdom in business than I could as a local pastor. You gave me a foundation to jump off of. Honored to have served with you at Northwood. To all of my family and friends, thank you for the support, likes and retweets. I love you all.